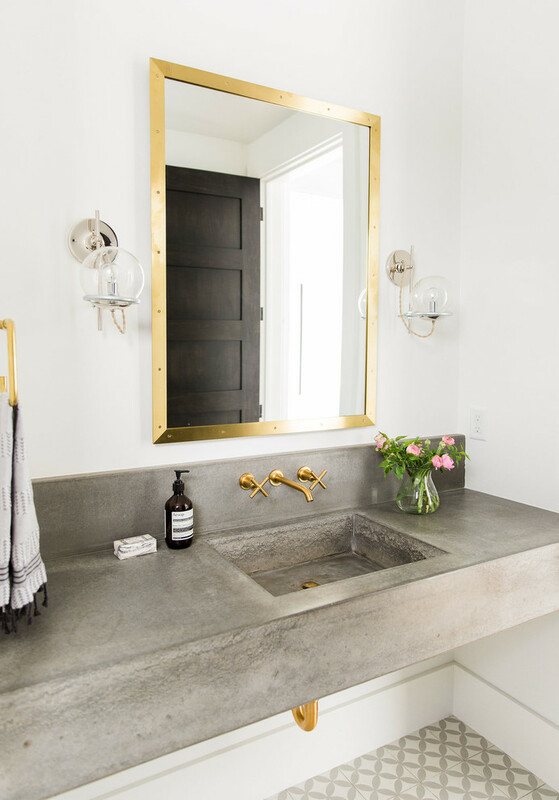 Today I’d like to continue the topic of bathroom vanities, sink cabinets and countertops, which are a must for every bathroom. 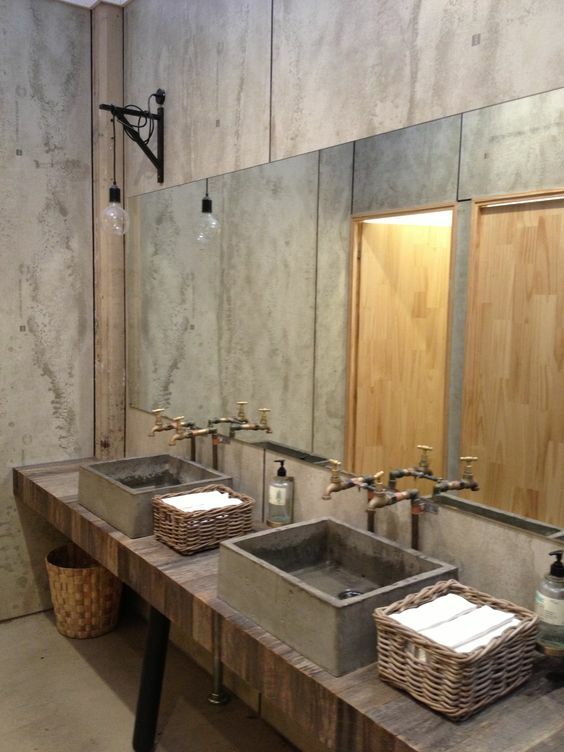 Industrial décor is very popular today, and not only in masculine spaces but also for family homes. 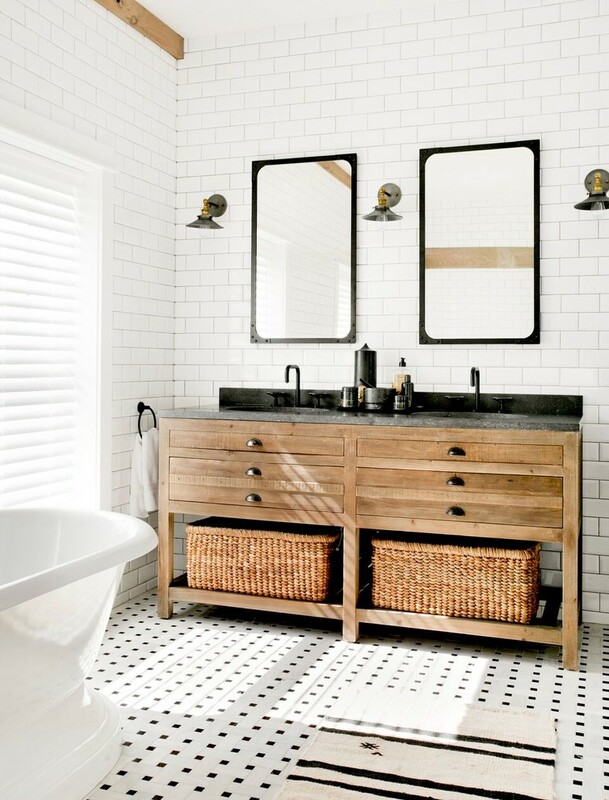 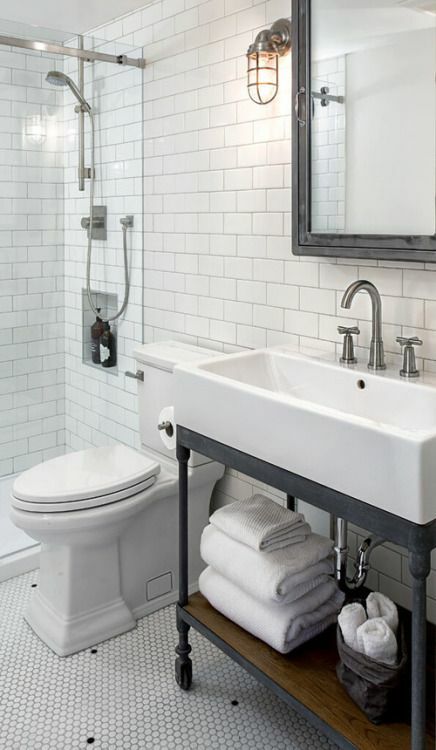 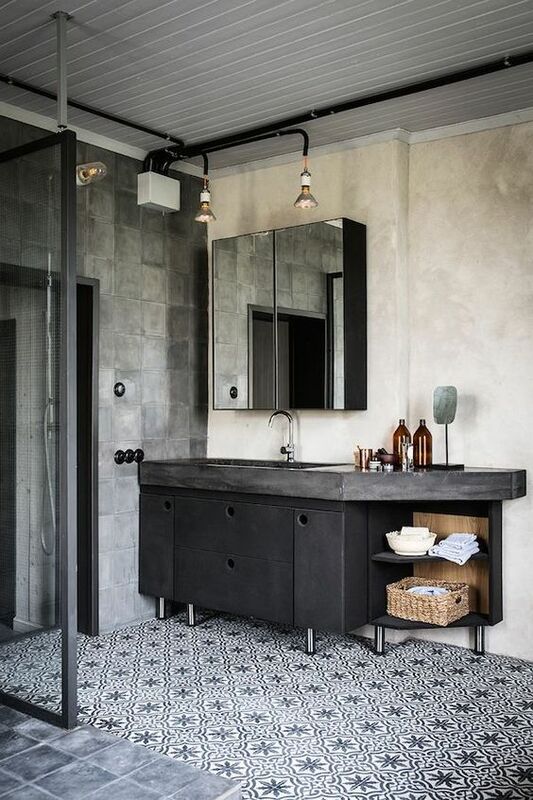 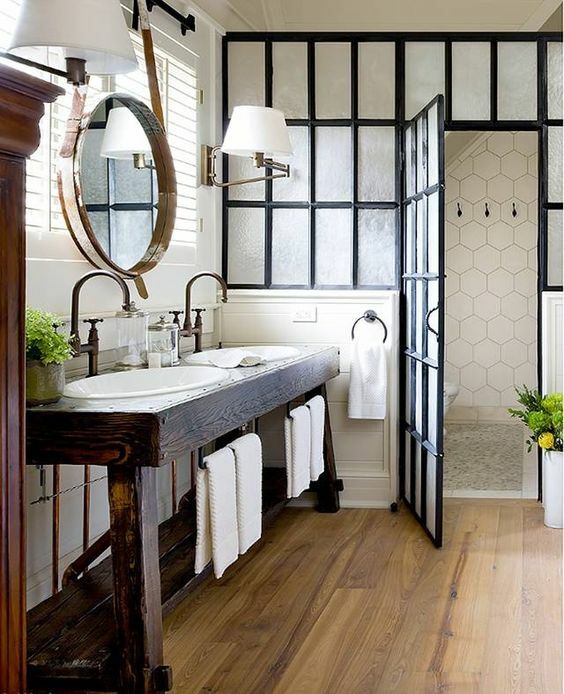 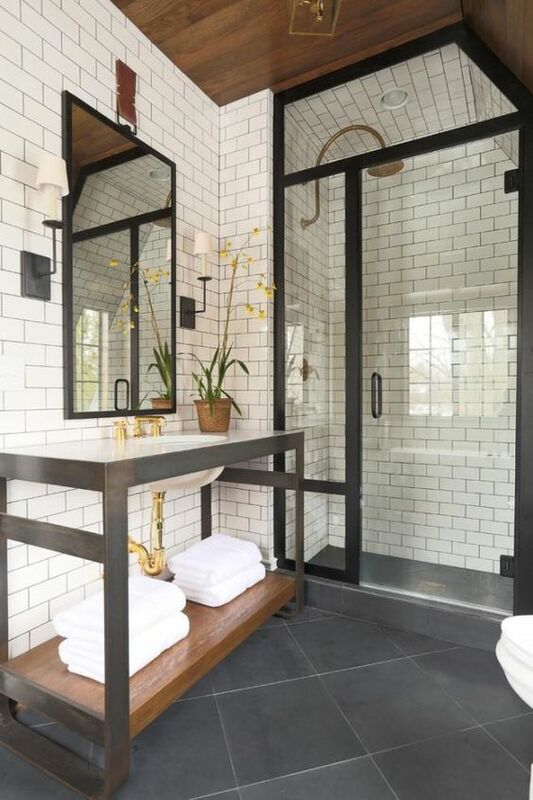 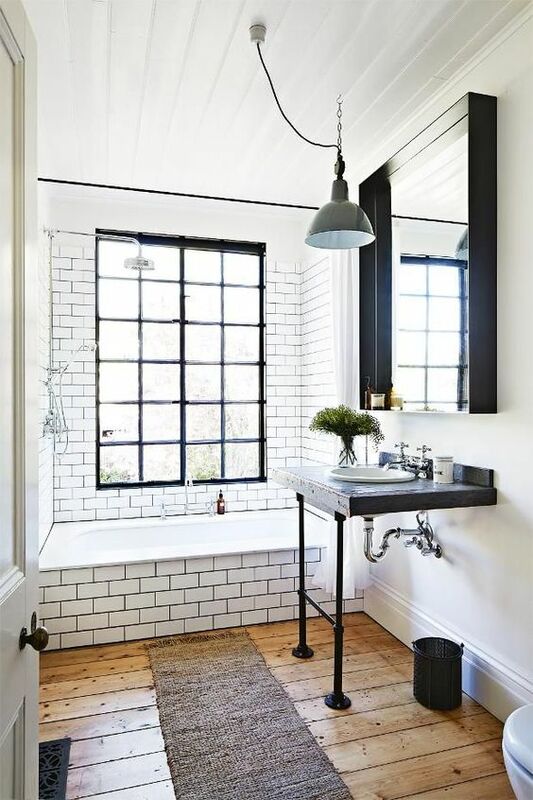 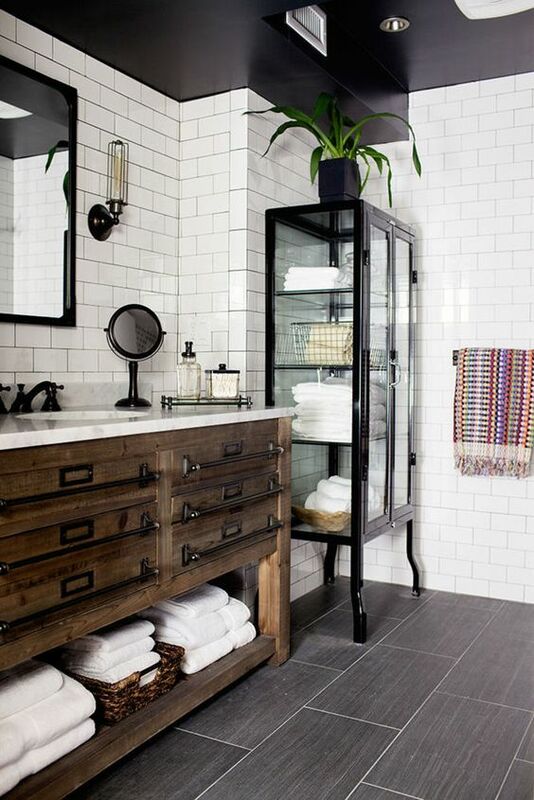 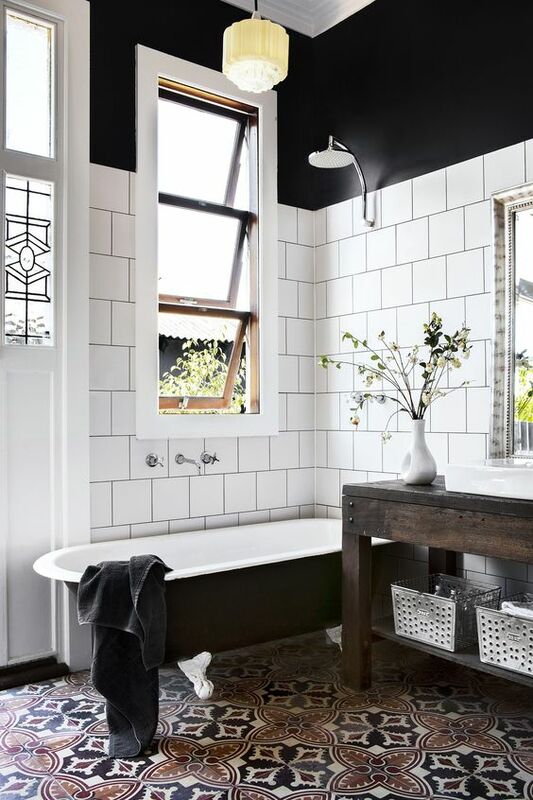 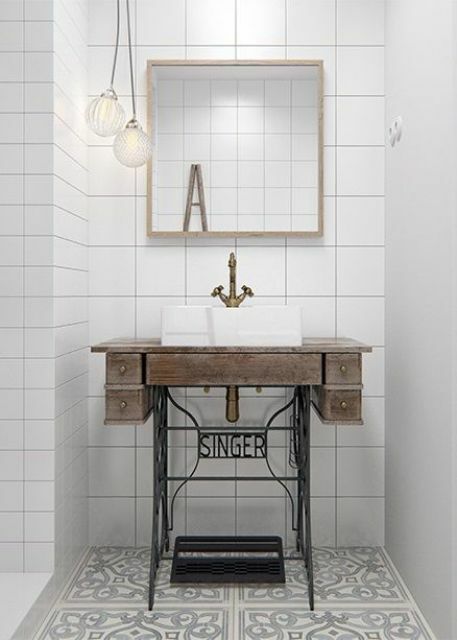 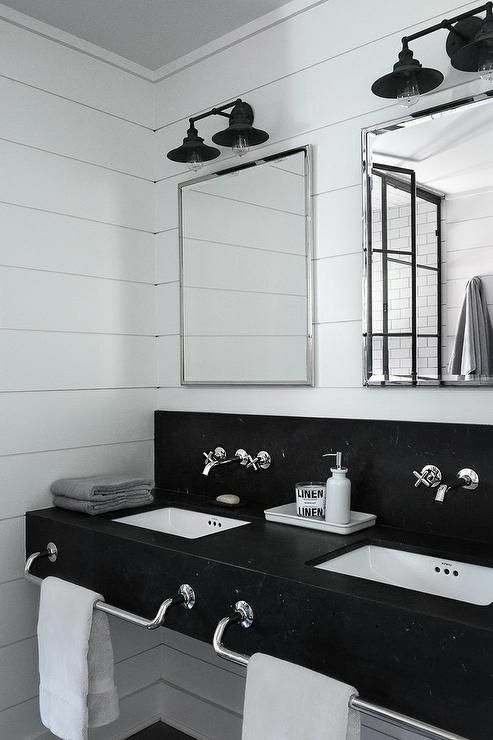 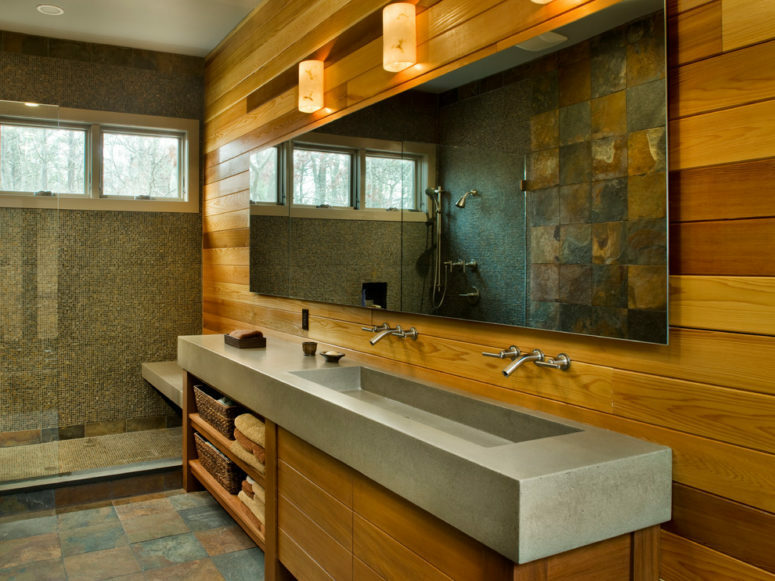 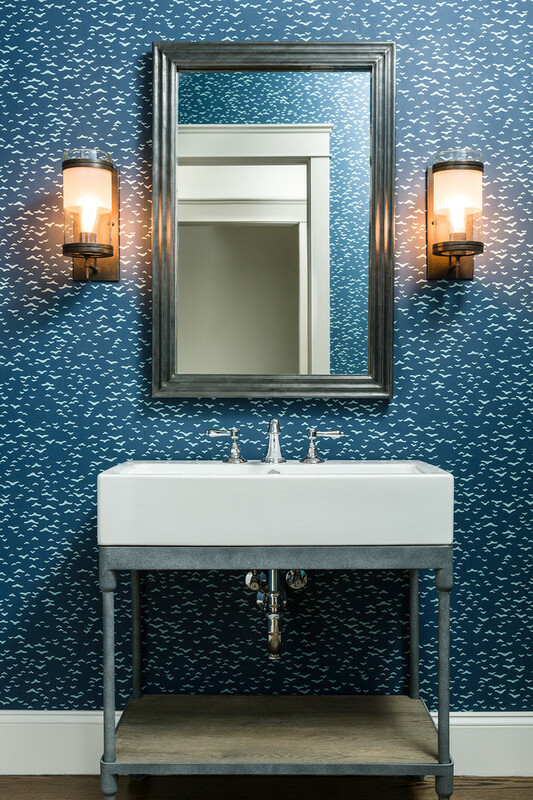 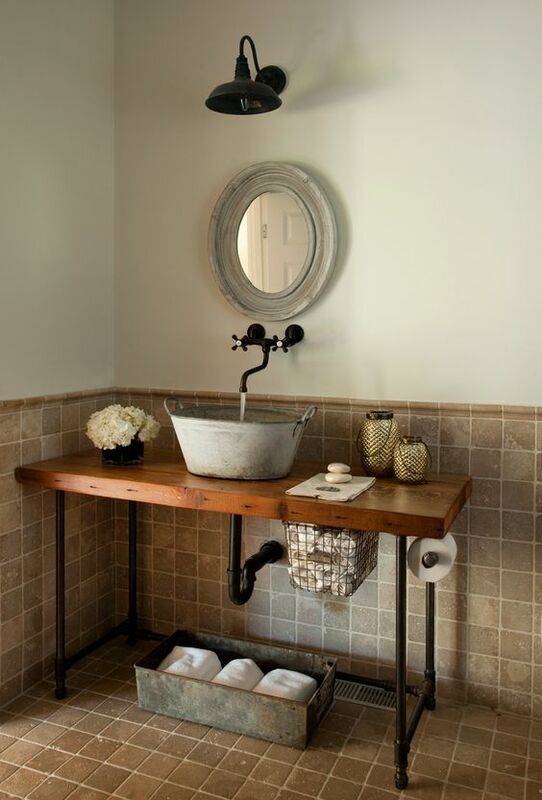 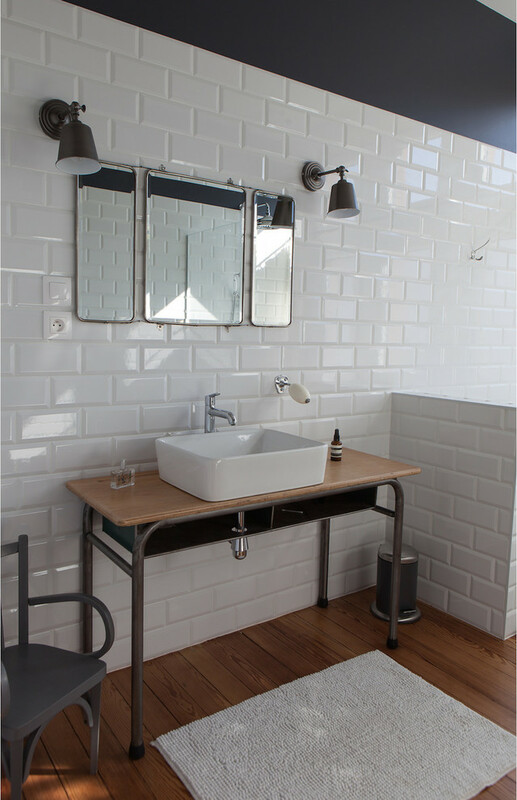 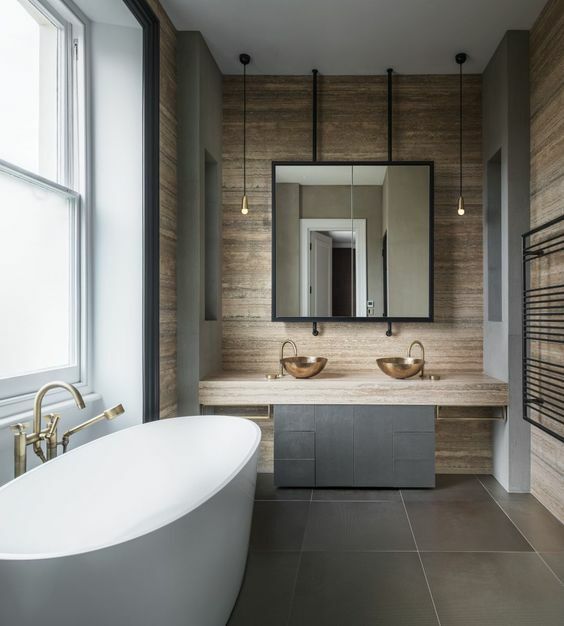 Industrial bathrooms are usually with details or touches of modern or minimalist, or vintage or rustic styles. 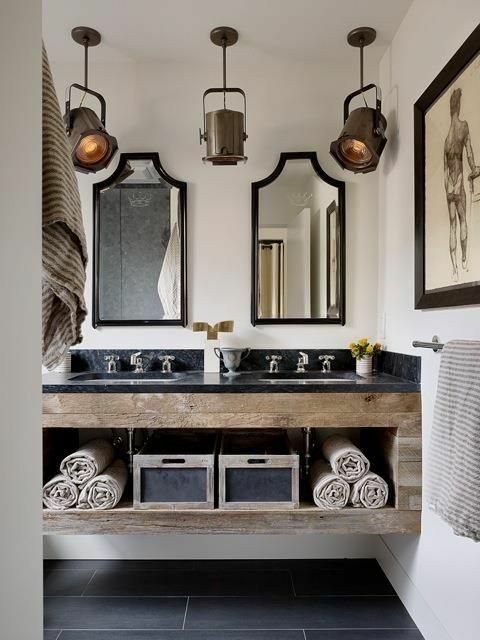 A bathroom vanity will definitely help you to express this mix of styles that you’ve chosen, so make or buy it carefully to perfectly fit the space. 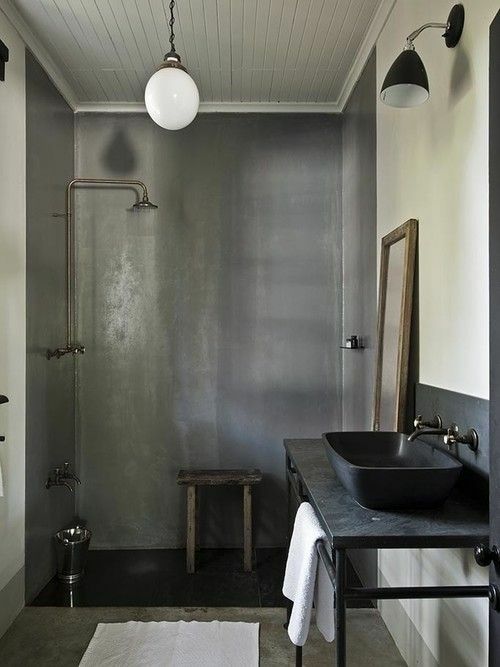 Wanna see some examples that work best of all in industrial bathrooms? 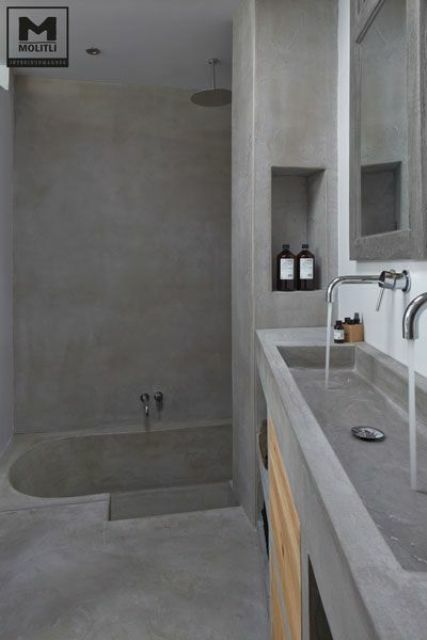 Concrete is one of the most popular industrial materials ever, it’s very affordable, it can be DIYed and it’s very durable, which is especially important for often used spaces like a kitchen or a bathroom. 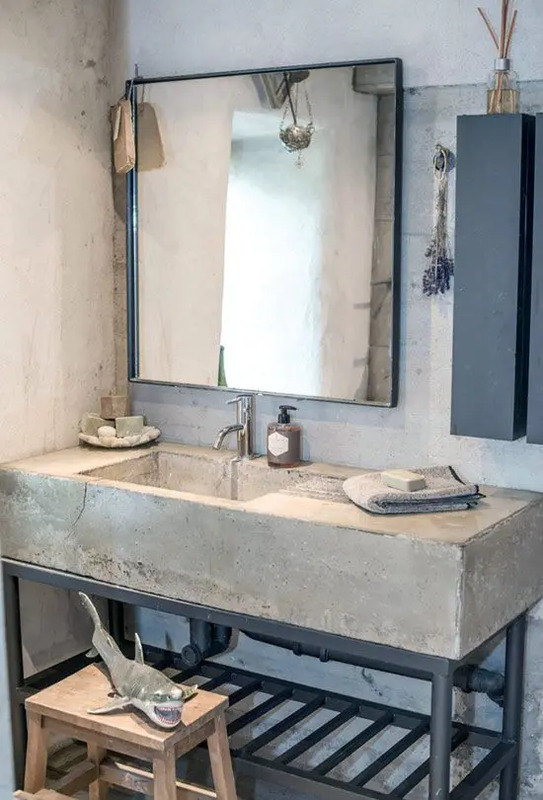 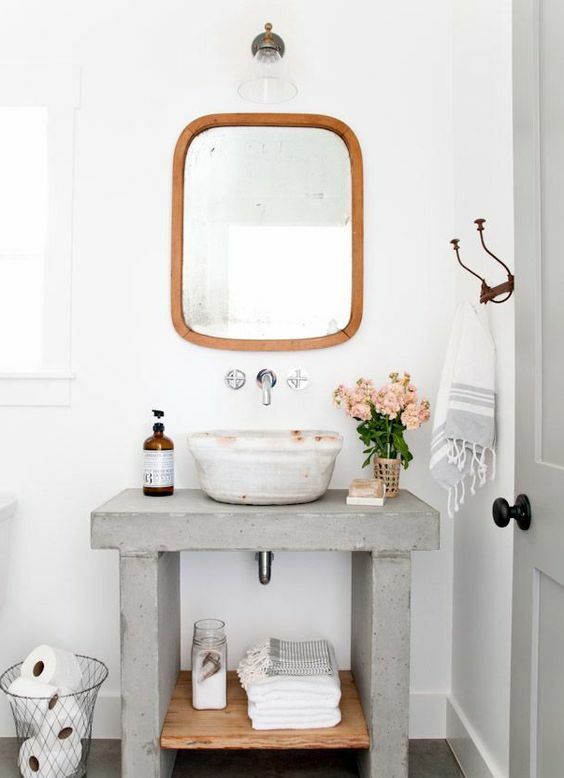 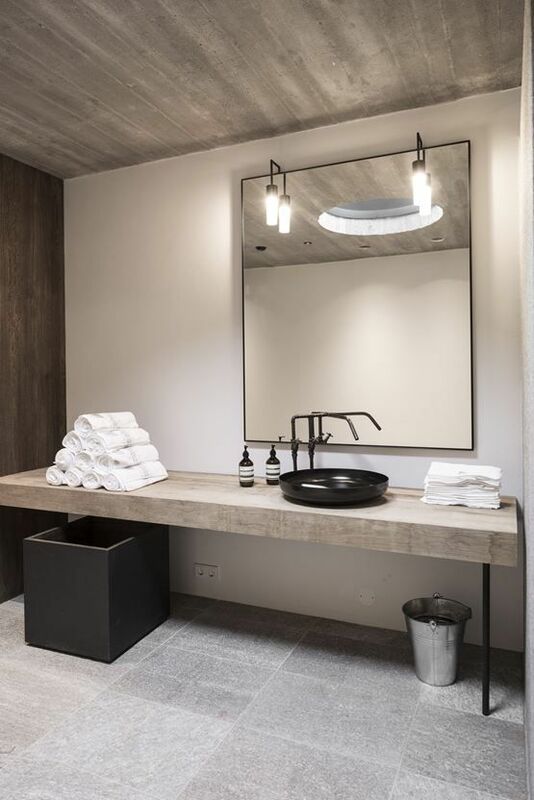 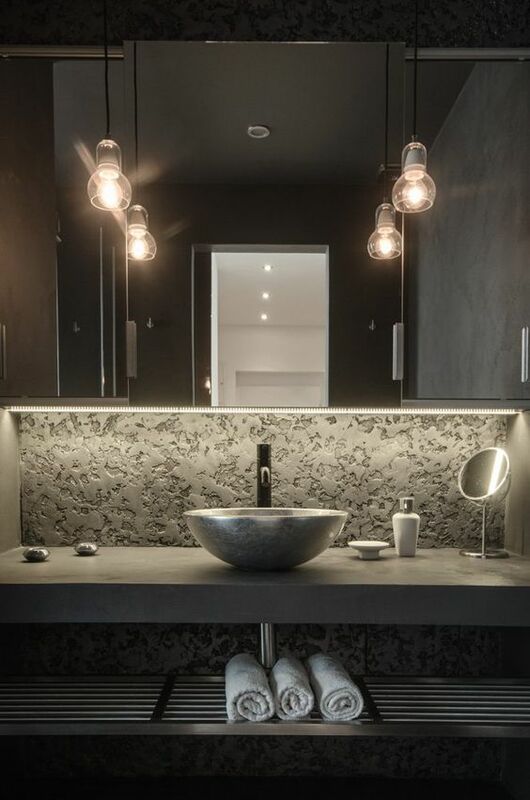 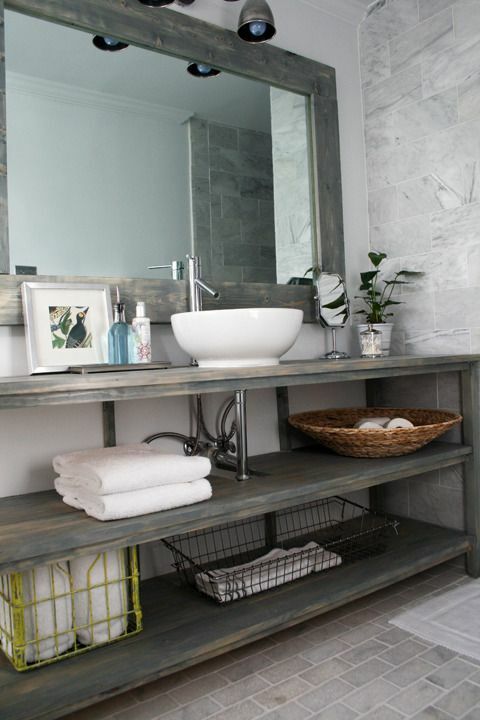 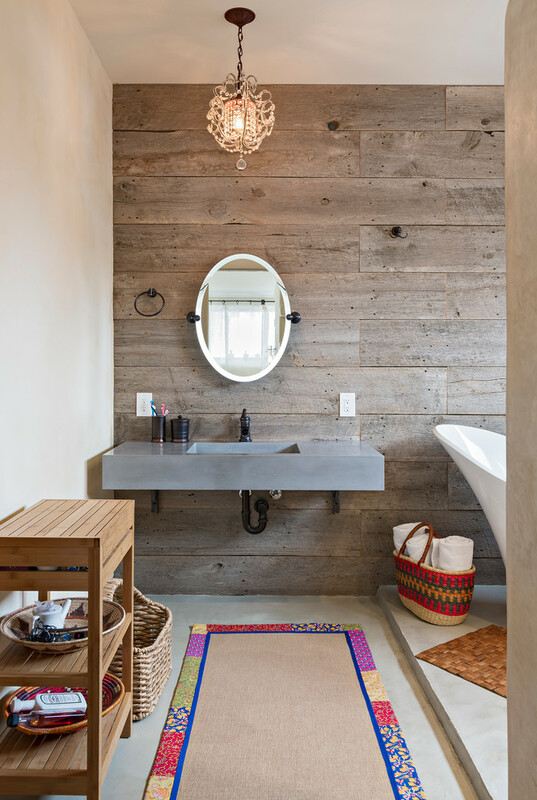 Concrete can be combined with wood or metal pipes for a gorgeous industrial look, and you can go for open shelving of metal and towel hangers. 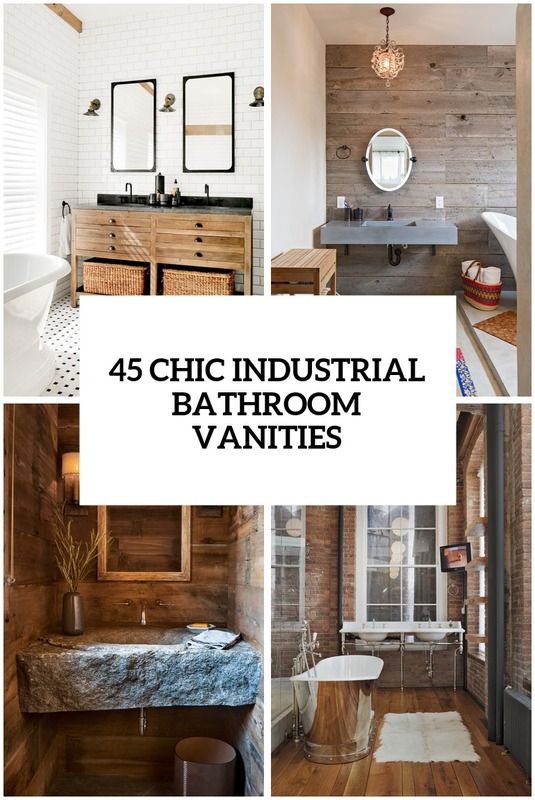 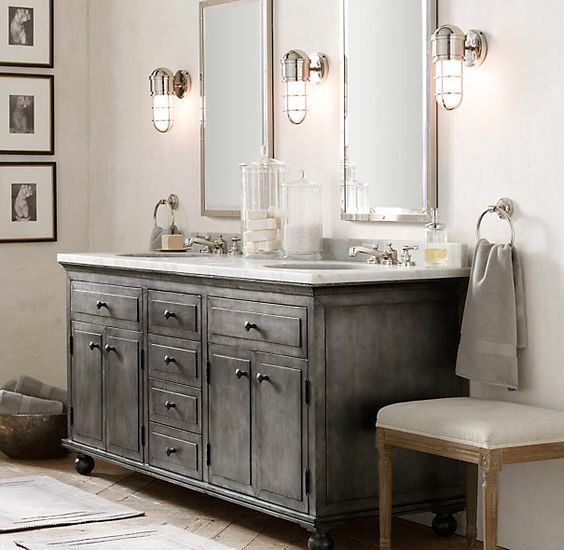 Wood is the most popular material for any bathroom vanities including industrial ones. 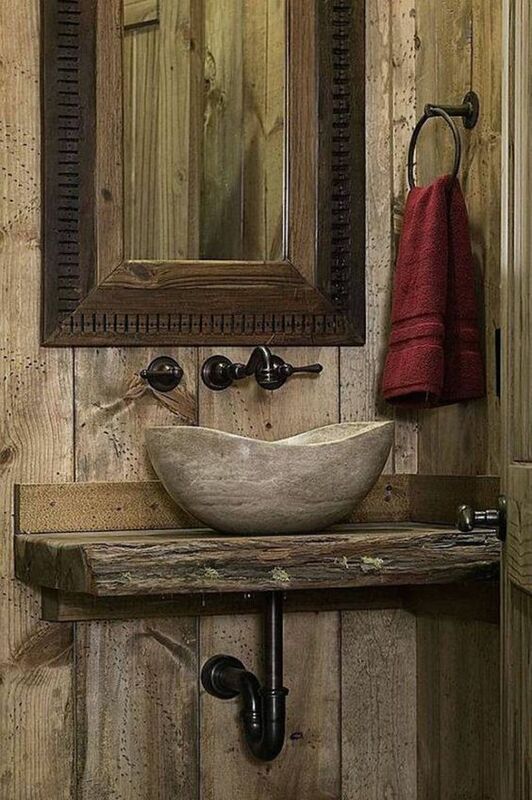 A wooden vanity depending on its look may give your bathroom a slight rustic or vintage touch, it will definitely soften any bathroom décor. 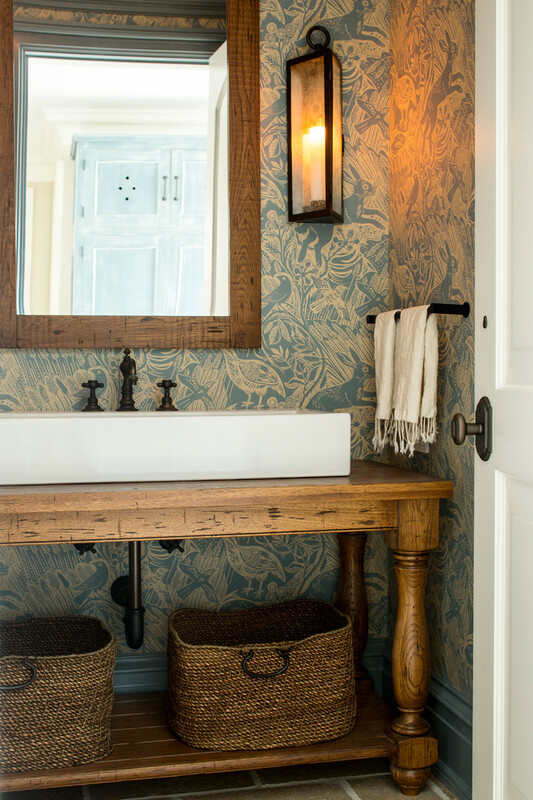 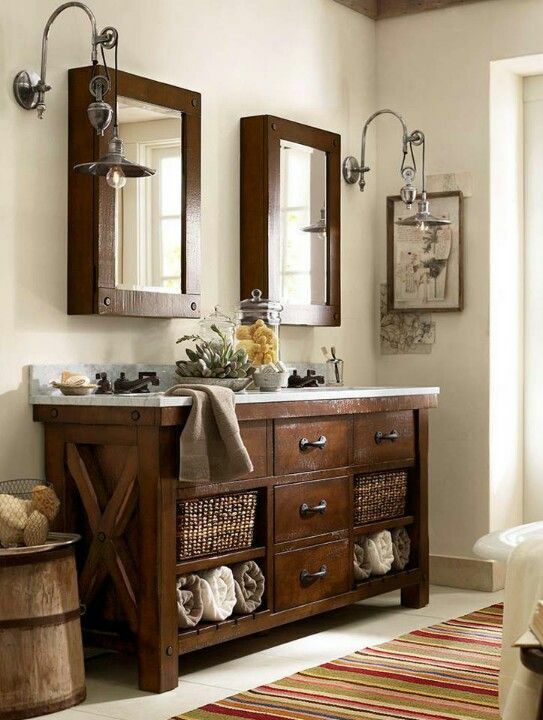 Take a cool wooden vanity with drawers and open shelving for towels or towel hangers. 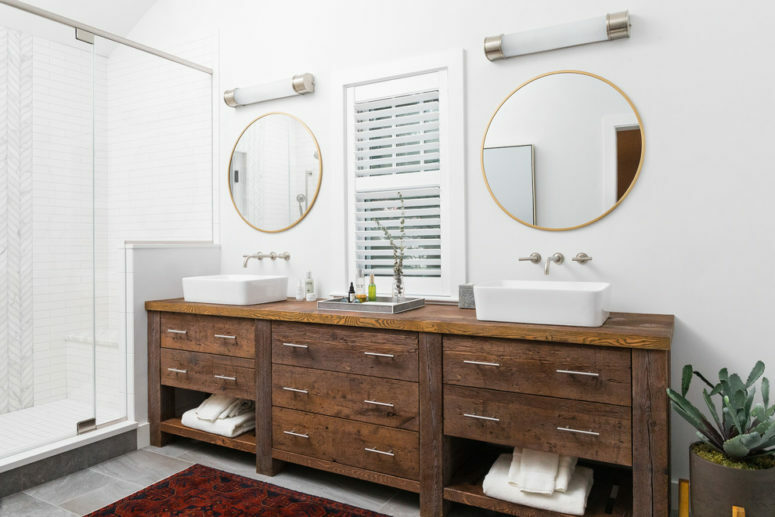 Choose wooden cabinetry with metal or pipe detailing to make the look more industrial, or go for a concrete top, which is also a good solution cause of its durability. 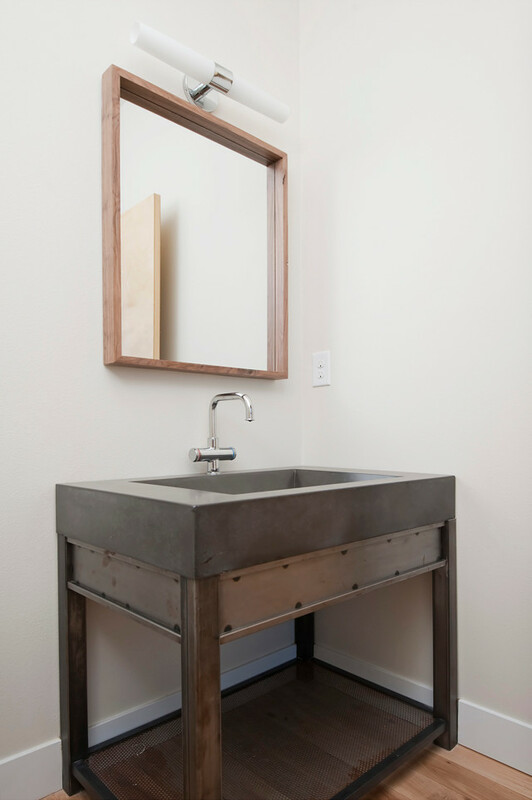 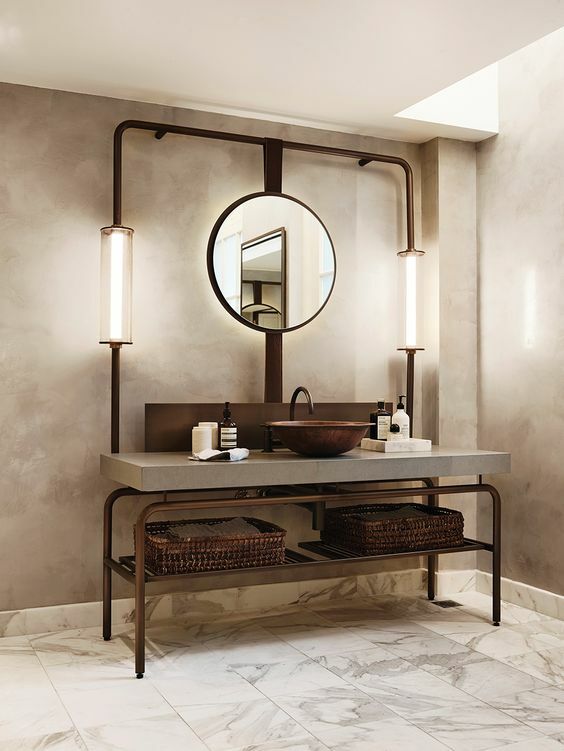 Industrial style is perhaps the only one where you can get a metal vanity or countertop and it will look organic and stylish, besides, metal is rather durable, especially with right finishes. 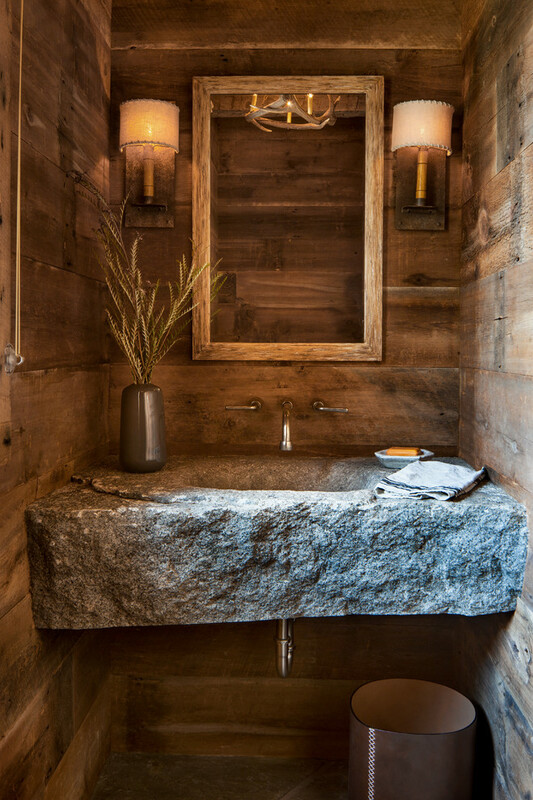 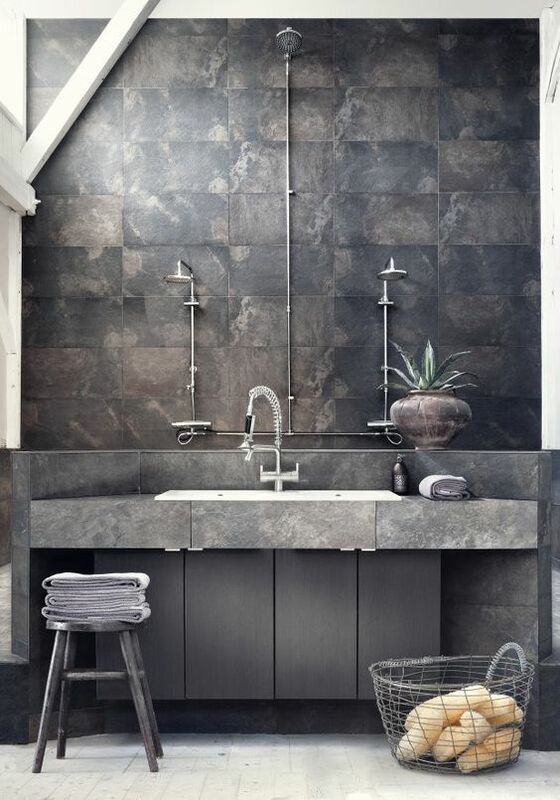 Combine it with wood for a softer look or rock a metal surface to make the bathroom look more edgy. 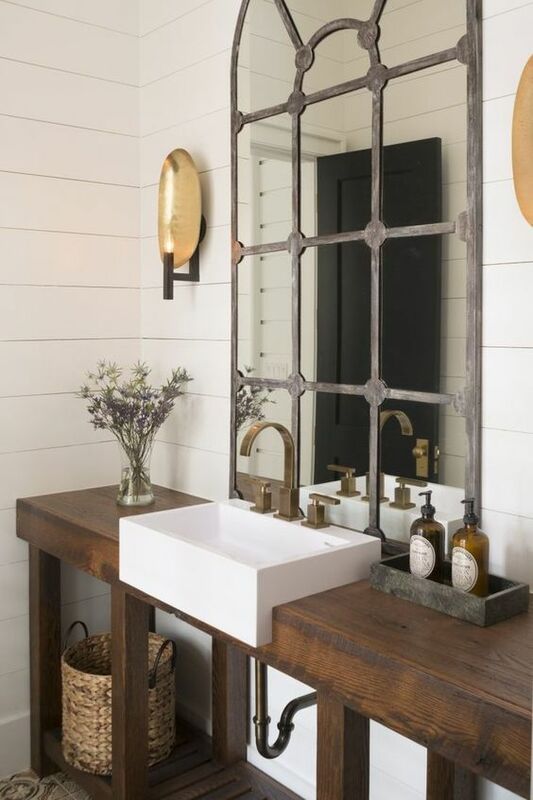 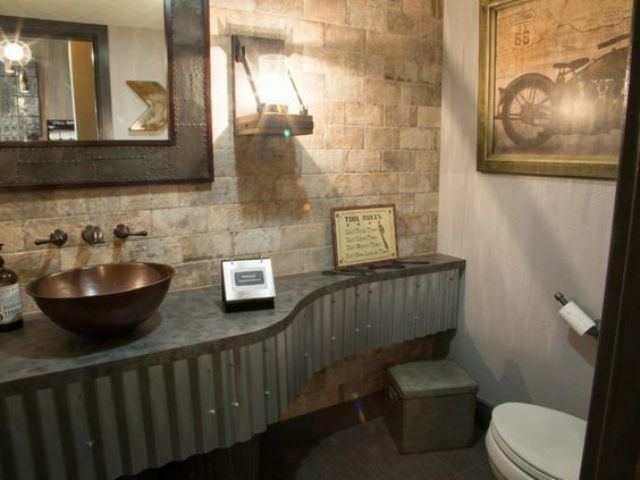 If you want to add a rustic feel to this vanity, choose corrugated metal as the material for it and for the sink, too. 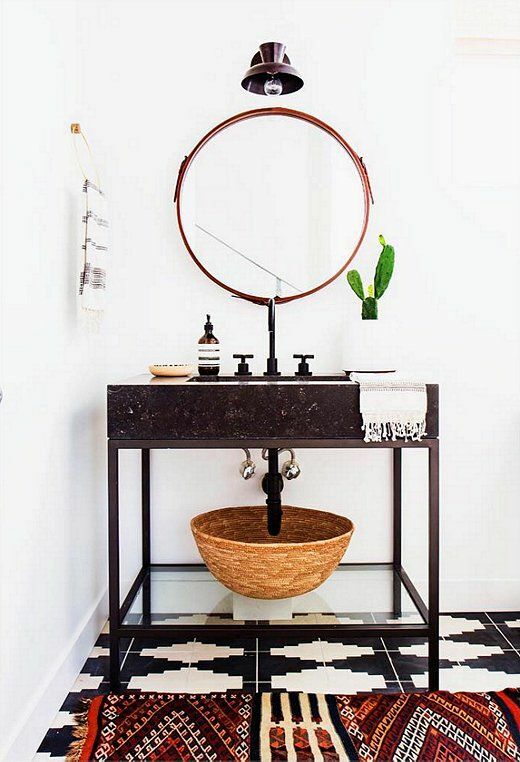 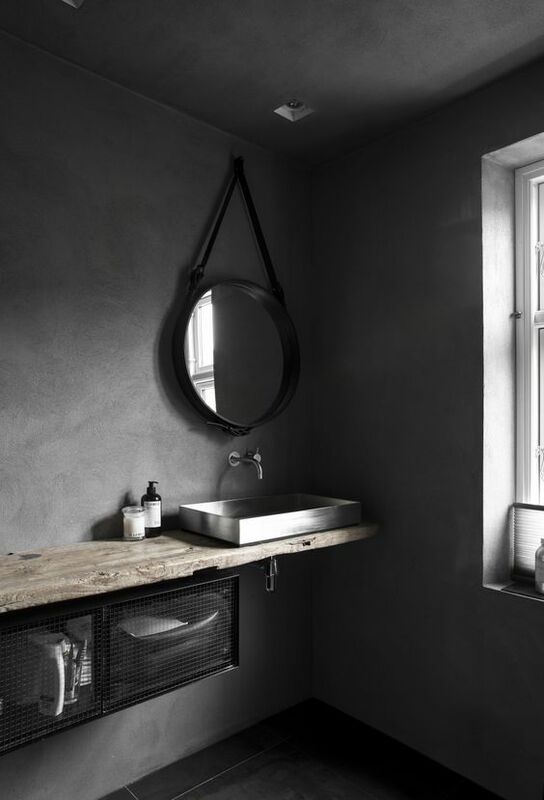 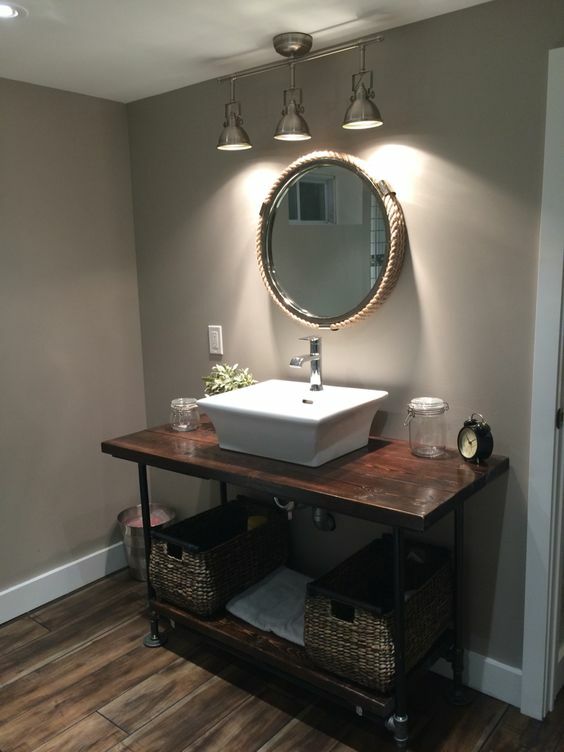 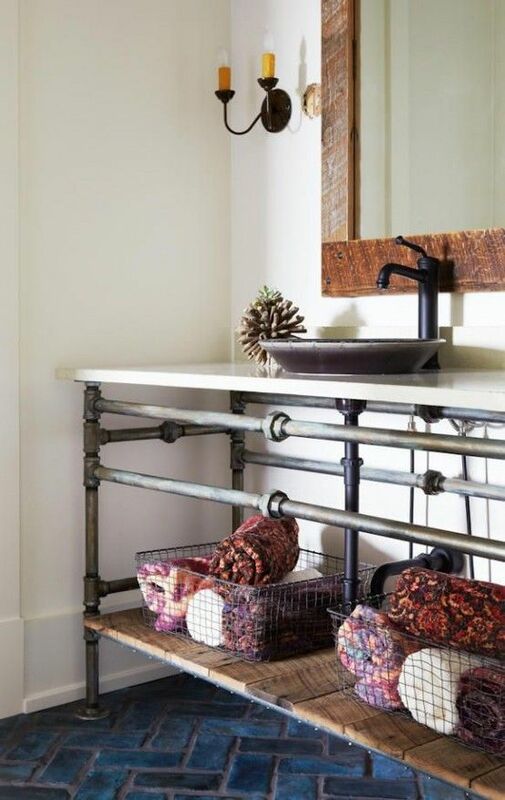 Iron pipes is a great base for an industrial vanity. 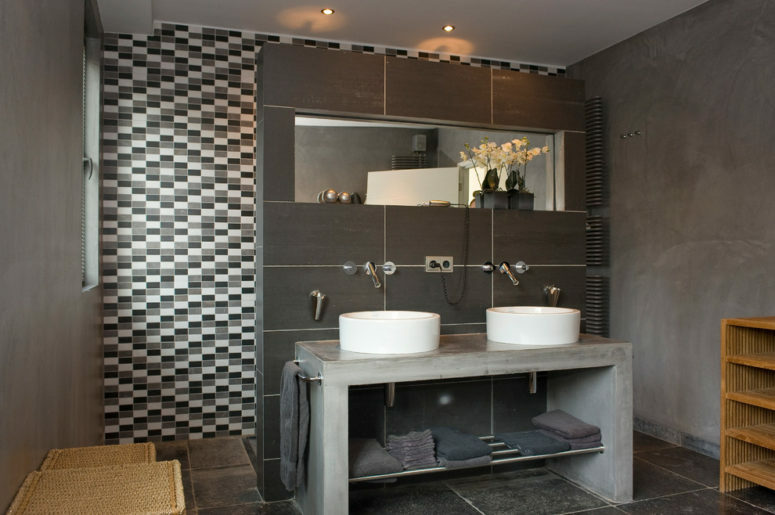 Stone is a great idea cause of durability and its chic look. 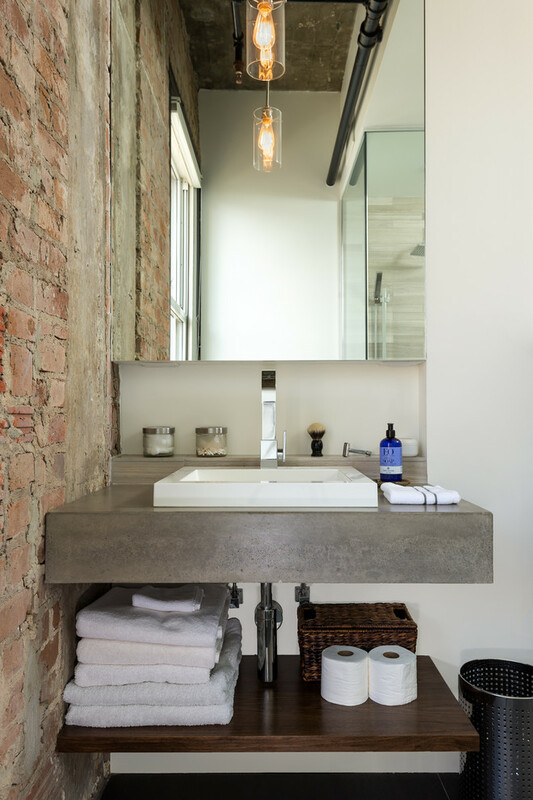 Add metal legs and your chic and durable vanity is ready, such a combo of textures will always look great, even in the simplest bathroom. 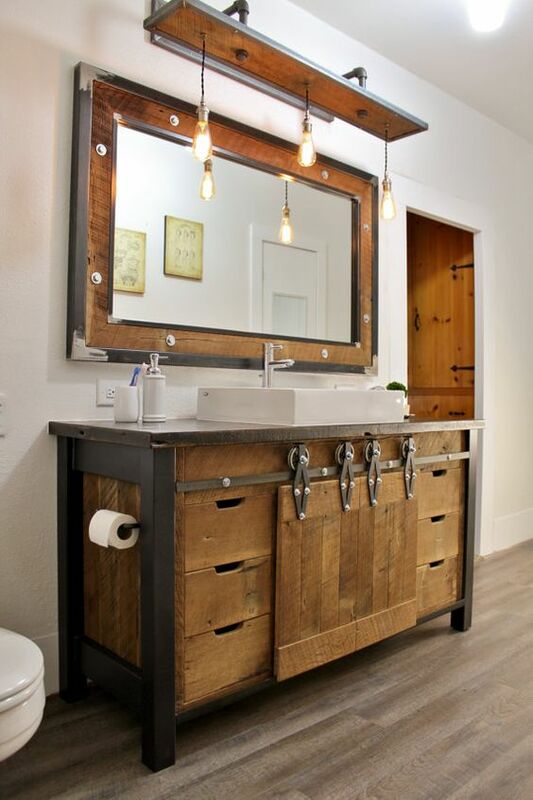 You can also go for a wooden or metal cabinet with a stone countertop for durability, it looks cool.